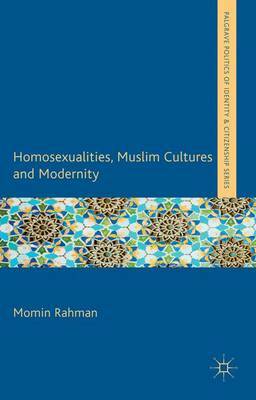 "Momin's book is one of the best analysis of homosexuality and modern Muslim identity to appear recently. While the book is an in depth look at the current debates about Muslims and modernity, its theoretical tools are fundamental to understanding the complex notion of modernity. It reminded me of Timothy Mitchel's The Colonization of Egypt. Momin's book is a comprehensive work, exhaustively researched, judicious in its assessment and sets forth a theoretical model that will alter the way we understand Muslim modernity.